There are times it can seem the universe is sending you a message. Like a heartbeat it keeps coming at you…pounding out the memorandum. Over and over and over again. Rhythmically. Are you listening? Are you listening? Are you listening? The students that I have supervised through the years often notice that the same issues, just different people, keep coming through their doors. Different clients, but the same struggles. And? So often the issues are connected in some way…big or small… to lessons these budding therapists are struggling to learn in their own lives. Isomorphism. Parallel process. The me in you. I am familiar with it, too. All too familiar. Like a heartbeat…pounding out the memorandum. Over and over and over again. Rhythmically. We laugh and groan and lean into the work together. I get it. My mentor said: “A good therapist is a self-aware therapist.” The only way to do good work with clients is to do good work with ourselves. And, the work never stops. One of the hazards (or gifts) of being a therapist is being pushed continuously to grow and think and explore and face your own stuff. We all have STUFF. WORK. Even therapists. I don’t know. Maybe it is a coincidence. Maybe it has to do with the focus of our own hearts and minds based on our own issues. You see what you want…or need…to see. Maybe it IS the universe…God… sending you a message. Like a heartbeat it keeps coming at you…pounding out the memorandum. Over and over and over again. Rhythmically. Over the past month or so I have noticed a topic popping up all over the place. In conversations in about every space I occupy. It goes something like this. Someone tells me that they are upset. Feeling disrespected. Not heard. Indignant. Ignored. So I respond. Or. Deflecting and more complaining. Wait. What?! You are upset with her for not doing something you haven’t even told her you want her to do? There is a verse in Christian scriptures that goes something like this: “Let what you say be simply ‘Yes’ or ‘No’” (Matthew 5:37). Sounds so easy, right? But, I think we all know that it is surprisingly difficult to communicate clearly, kindly, and DIRECTLY. We would rather people read our minds. Ok, hold up. Soap box break. Listen. If you post a link to something and it includes a statement like “Hmmm. Interesting” we all know what you are posting is for SOMEONE who follows you on your Facebook page. INCLUDING the one you posted it for! You. Aren’t. Fooling. Anyone. Also? You aren’t winning any arguments or changing lives taking this route either. Friend. Don’t do it! Just don’t. M-kay? The relational fall out and resulting paranoia is so not worth it! You are better than that, friend. Much better. Ok, Soap box break is over. The fact is, speaking directly requires a great deal of confidence, bravery and vulnerability. It necessitates confidence and respect for the relationship. It calls for bravery to face any response. It demands vulnerability that you might be misunderstood and willingness and courage to BE misunderstood. Vulnerability to try again if you ARE misunderstood…or to walk away knowing you did your best to say what you needed to say. It is a whole lot easier to make passive aggressive posts on social media or to complain to others or just expect that the person KNOWS… and then get mad and indignant when they DON’T know. Damn you people. Why can’t you read minds? We learn all kinds of exhausting games to play in order to avoid speaking directly. Gracious. All KINDS of manipulative…sometimes quite COMPLEX….games. 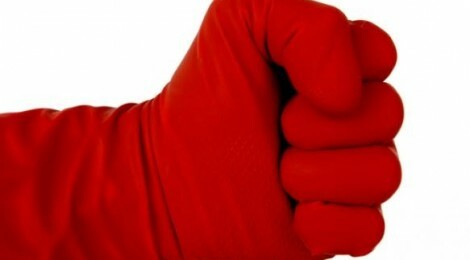 Iron fists in velvet gloves. Double talk. Silent treatments. “Here are my expectations. Do they make sense to you? Hopeful for a good outcome. Did you know that you can be kind and firm, friend? Did you know that? Listen, friend, it does NOT escape my attention that this message keeps popping up in MY spaces. Like the universe is sending me a message. Like a heartbeat it keeps coming at me…pounding out the memorandum. Over and over and over again. Rhythmically. So, here’s what I want to propose to you. A promise. I am trying. REALLY hard. To practice what I preach. If I am wondering something…I am trying to ask it. If I need help, I am trying to reach out for it. If I am upset about something, I am communicating it. Will you join me? Will you look around and notice where you are hoping people will read your mind? Or your Facebook posts? I’m not asking you to take these steps to being more honest, direct, and kindly assertive in places that are not safe to you. Absolutely not. But let’s cut out the nonsense, shall we? Let’s be brave. And, stop playing exhausting games. No more “Hmmm. Interesting” Facebook posts. It will necessitate confidence and respect for the relationship. It will call for bravery to face any response. It will demand vulnerability that you might be misunderstood and willingness and courage to BE misunderstood. Vulnerability to try again if you ARE misunderstood…or to walk away knowing you did your best to say what you needed to say. I think we can do it. I KNOW we can. Yes. Yes. Yes. I am 100% for this memo from the universe. Leave a Reply to Missy Cava Click here to cancel reply.